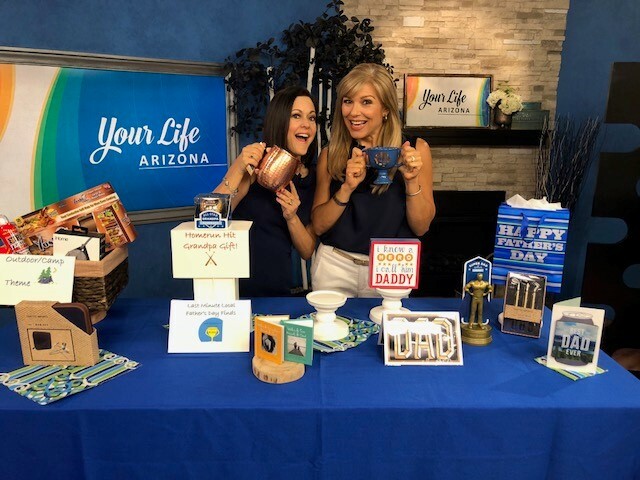 Father’s Day happens on June 17th, so here are some gift ideas that I showed in my segment today on the Your Life Arizona morning show. 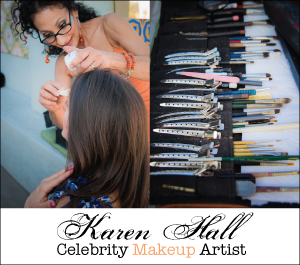 Many are sold at local retailers for good last minute ideas. I also found some unique ones that can be ordered, so take a look at this now so you have time to get your Dad’s Day shopping done. 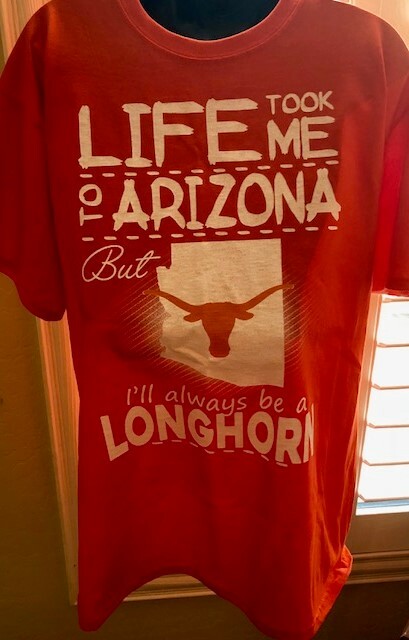 *Customize something fun specific to Dad – I ordered this burnt orange T-shirt from Tee Chip for my Texas Longhorn alum hubs. This shirt says it all and I am excited for him to see it on Father’s Day as I think it is perfect, comfortable, fun and this theme fits him perfectly! 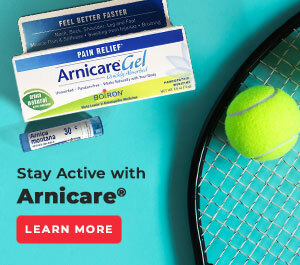 I ordered this from Tee Chip for $26.95 and I had no issues with the company, but I found a lot of reviews that complained of long shipping delays, so please note that I only ordered from Tee Chip once and had no problems, but others did. You could do something similar for the father you are shopping for with his alma mater printed like this one with other customized gift companies. 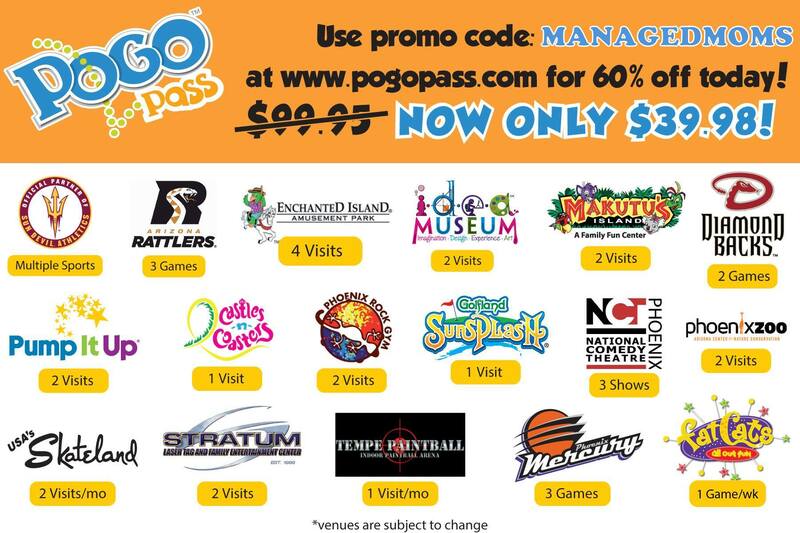 I found a ton of companies that do this kind of stuff online. Or go to one of the As You Wish locations and create something like this there on a mug, etc. 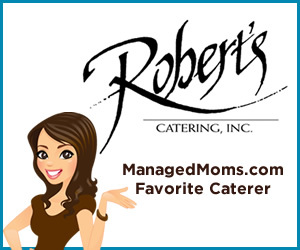 *Make Dad a customized drink kit – Pair his favorite coffee, tea and/or scotch, whiskey, etc. in a basket and add the HyperChiller(sells at site for $29.99). 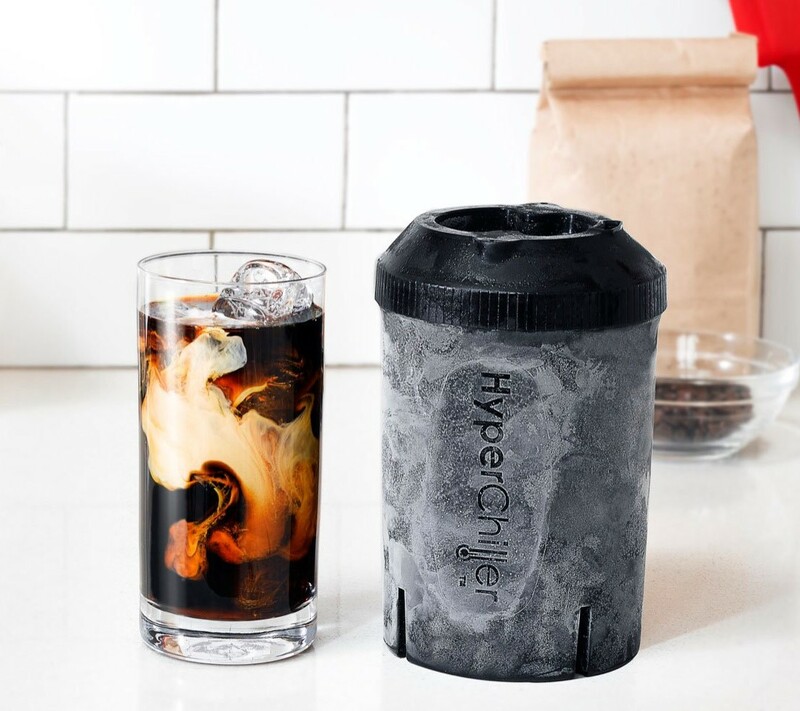 The HyperChiller turns any beverage into a perfectly cooled drink in one minute without ever touching ice. 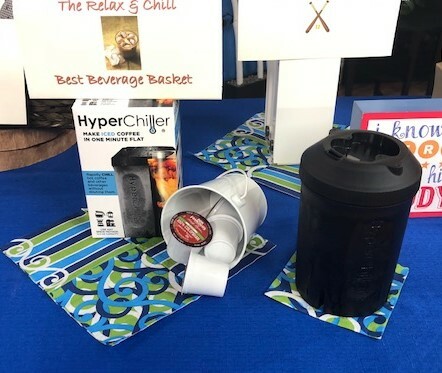 Photo of this cool device, that is a perfect Dad’s Day gift is from the HyperChiller website. With the HyperChiller’s simple multi-chamber design, a beverage is exposed to the equivalent of over 30 large ice cubes. The drink is then protected by two layers of food grade stainless steel. This way there’s zero dilution in the process of cooling. Just leave it in your freezer, then take it out, pour your beverage in (coffee, wine, spirits etc.) and the HyperChiller will rapidly chill it in just one minute. This handy device can be used several times in a row. When done, place back in the freezer to use again later. It’s compatible with all brewing methods and even fits directly into most full-size single cup brew. 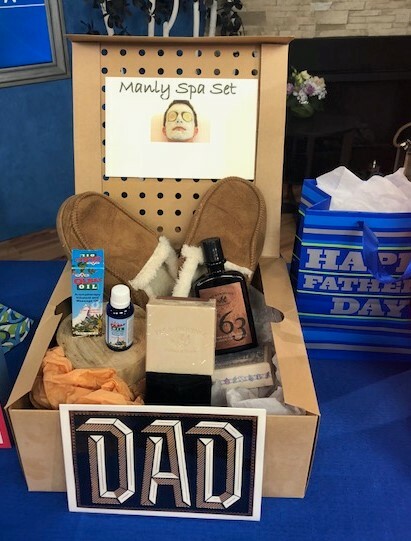 *Make Dad a Manly Spa Basket – Place his favorite soaps, shaving products, a nice bath robe and more in a specialty spa kit for him! Add slippers, a gift card for a massage, a bottle of wine, healthy herbal teas or a gift card to a spa store. I kept mine simple, as you can see below… Olba’s Herbal Remedies Olbas Oil and Olbas Inhaler is included in my gift basket for a good massage oil and inhaler that helps to clear sinuses. The oil is great for massage and I like the Olba brand because it doesn’t smell feminine, making it perfect for Dad. Olbas originated in Switzerland over 100 years ago and is made with a blend of six essential oils including peppermint oil, wintergreen oil, oil of cloves, juniper oil, eucalyptus oil and cajeput oil. The Olbas Herbal Remedies Aromatherapy Inhalant and Massage Oil .95 fluid oz bottle sells for $19.95 here. 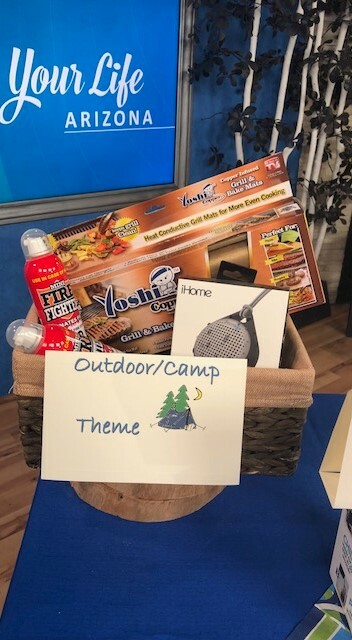 *Yoshi Copper Grill & Bake Mats ($9.99 for a 2-pack sold at amazon, Walmart, Walgreens) — Give the dad who likes to grill these handy mats that enabling grilling without the food falling through the grate. Foods still have grill marks, too. The mats still must be cleaned, but not the grill. Perfect for the camping gift kit and for an outdoor or cooking/grilling themed gift. *iHome Drop Splashproof Bluetooth Wireless Speaker with Speakerphone – I paid $24.99 for this at Walgreens, BUT I found it for only $11.99 at Groupon.com so definitely check that site for Dad’s Day gift savings. That is 50% savings. This handy contraption pairs with your smart device to provide a wireless speaker and speaker phone. It is splash proof, so it works by the pool (not immersed, though), in the shower and out in the rain. A great gift to pair with a camping kit. *The Mini Fire Fighter product. I do want to say that I haven’t personally tried this product, so I haven’t tested it myself. So do keep a fire extinguisher on hand. Check out what this compact user-friendly aerosol firefighting product does. 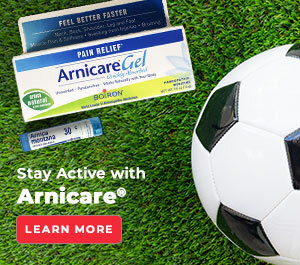 It is safe, easy to use and tested to EU and USA standards. Mini Firefighter is an essential safety tool to have around the home, the car, in the caravan, near the BBQ, in the toolbox, on the boat or in fact anywhere there is a risk of a fire. Mini Firefighter is non-toxic, non-irritant and biodegradable which can be used with care in confined spaces. It’s high cooling capacity forms a stable, heat resistant seal which suffocates the fire stopping re-ignition and turning fat and oil into a soapy mixture. Picture from the Mini Firefighter website. 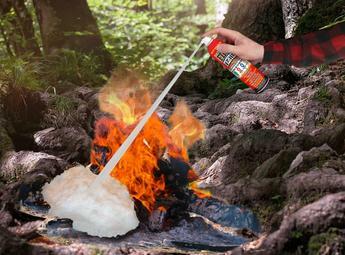 Mini firefighter is also easy to clean up as the foam dissolves after use. I think all households should have this on hand and it makes for a fun and smart addition to Dad’s Fun Thank You-Do-It all gift basket! The 8.45 oz can sells for $19.50 here. *Jumbo Moscow Mule Mug ($10.99 at Walgreens) – Moscow Mule cocktails continue to be all the rage and my husband loves to make these, so I got him this fun jumbo sized one for Dad’s Day! Pair with the ingredients needed to make a mule and this makes a fun gift basket idea. 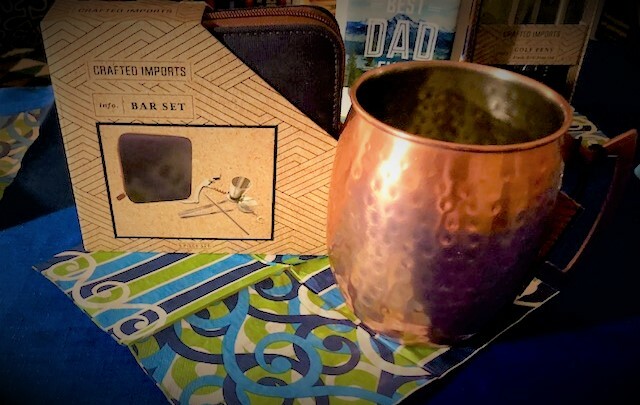 *Crafted Imports Bar Set – ($12.99 at Walgreens) – This is great alone or pair with the fun jumbo Moscow Mule mug. 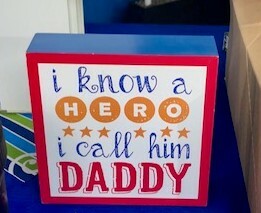 *I know a HERO**I call him DADDY block sign – ($9.99 at AJ’s Fine Foods) – This sweet red, white, blue and yellow sign is a block that can sit on his desk or can be hung on the wall. A great one from a child to Daddy. *Crafted Imports Golf Pens ($9.99 at Walgreens) – Pair this set of three golf club shaped pens with a golf store gift card. Perfect! 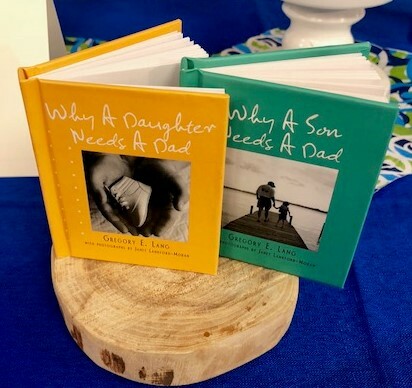 *Why A Daughter Needs A Dad & Why A Son Needs A Dad little mini books – ($5.99 each at AJ’s Fine Foods gift section) – These precious little mini books include passages like, “A daughter needs a dad so she will know what it feels like to be somebody’s favorite.” The son book includes touching phrases like, “A son needs a dad to let him be his equal now and then.” These little books melt my heart and I bet they will melt a father’s heart, too. 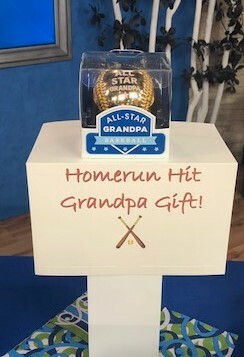 *Hallmark All Star Grandpa Baseball ($9.99 at Walgreens) – Ten bucks and fun alone or if you want to go big, give this to Grandpa along with tickets to a major league baseball game! 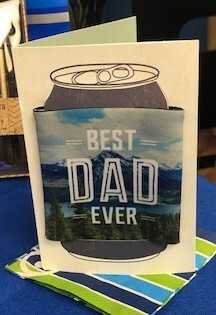 *Signature Greeting Cards Best Dad Ever with removable koozie – Check stores that sell greeting cards for this fun one that includes a koozie. Pair with his favorite beer and your gift is all set. I found this card for $8.99 at Walgreens. *Grasslands Road I Love That You’re My Dad Frame ($17.99 at AJ’s Fine Foods) – Beautiful ceramic/metal frame that fits a treasured 4 x 6 picture for Dad. This is a great one for the sentimental Dad or Grandpa who loves photos. *Hallmark Super Dad Trophy ($9.99 at Walgreens) – Perfect from a kid to a Dad this cute trophy has the father wearing a cape. Did I list any ideas that fit the father in your life? I am wishing all a Happy Dad’s Day.